When we knew we were moving to Abu Dhabi right before Christmas, my jolly festive heart sighed a little, worrying that it wouldn't quite be Christmas as we know it. It is totally okay to not be cold and white, as an Australian we grew up with hot Christmas's, but I was worried that because they don't celebrate Christmas here, that December 25 might come and go without so much as one measly glass of eggnog. (But, I made sure that happened on December 1st, putting up our travelling felt Christmas tree!). As with most of my irrational worries, I needn't have been concerned! There has been an abundance of Christmas spirit around Abu Dhabi actually! There are even some retailers selling real trees!! But so far my favourite experience of Christmas and of Abu Dhabi would have to be Carols in the Desert. 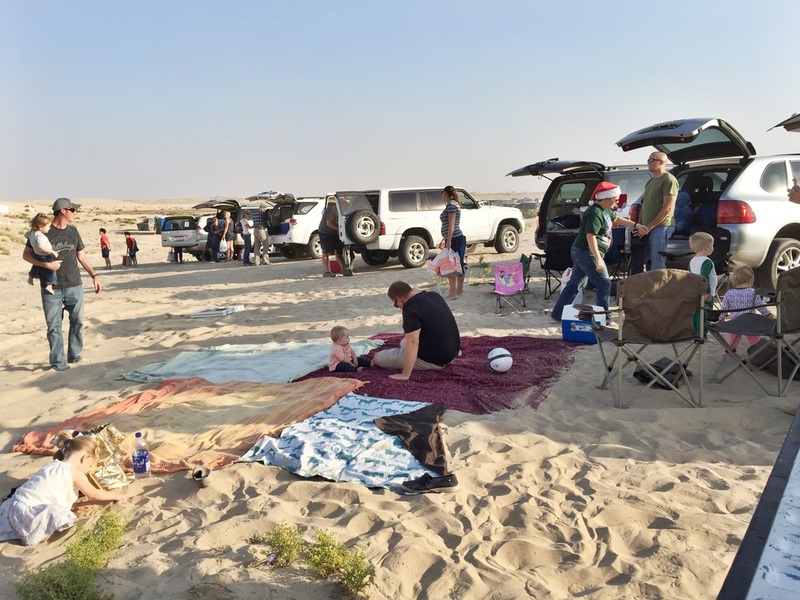 Set in a location that has only GPS coordinates because it is too remote to have anything else, a few thousand carollers gathered on the sand dunes, by the light of the moon, and sang Christmas carols. Well, it was really by the light of 2000 iPhone's but the point remains, it was magical. We went with our friends and their friends early in the afternoon and set up what can only be referred to as a Desert Tailgate. 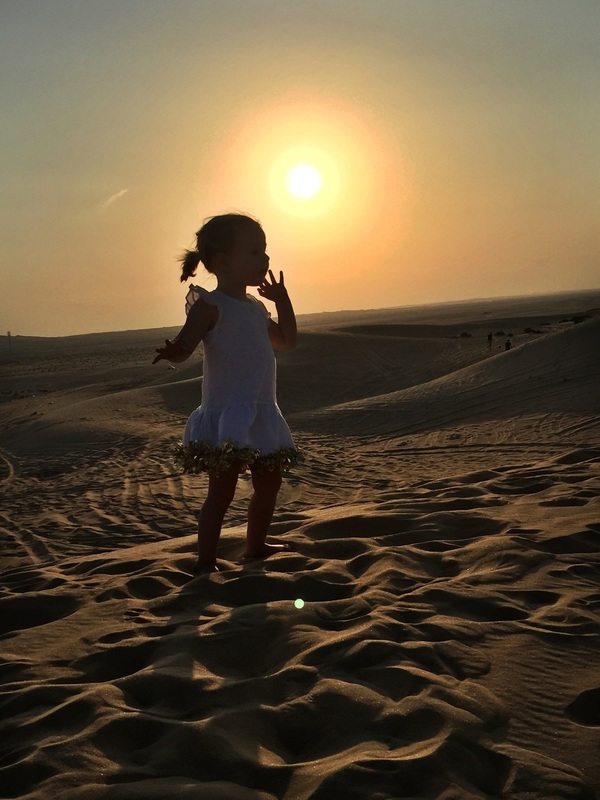 We climbed the dunes and waited for the sun to set, some keeping busier than others by doing dune sprints (her little legs must still be aching, she did about 100 climbs just to slide down again!). It was a pretty spectacular scene. Maddie was pretty fatigued at this stage, so happily just sat with us listening to the music and gazing up at the bright and plentiful stars. It was a moment i know I'm not going to be forgetting any time soon.